We, Ultra Febtech Pvt. Ltd. company offer Nauta mixer which is an Ideal mixer to mix various small lots to make uniform one lot or to mix many lure proportions of powders to a uniform product. This should be perfect choice. The Nauta mixer offers low operative cost than any other types of mixers. A planetary rotating screw near the wall of cone not only mixes the powders but also breaks the lumps. Silent equipment offers you trouble free operation. It has also choice of material of construction viz. MS / SS and a special pneumatic mechanism for unloading and connectable to any bagging or storage outlet. Two separate drives for arm & screw minimize the maintenance problems. It is useful for primary, intermediate or final mixing. It also consumes less power than any other similar apparatus yet renders uniform blending. It can be easily mounted on individual lugs on a platform or directly on channel / pipe legs. The sizes of Nauta mixer available are 500 liters to 20000 liters. A Nos. 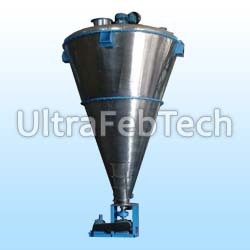 of our satisfied customers is using our Nauta Mixers since more than 15 years successfully. 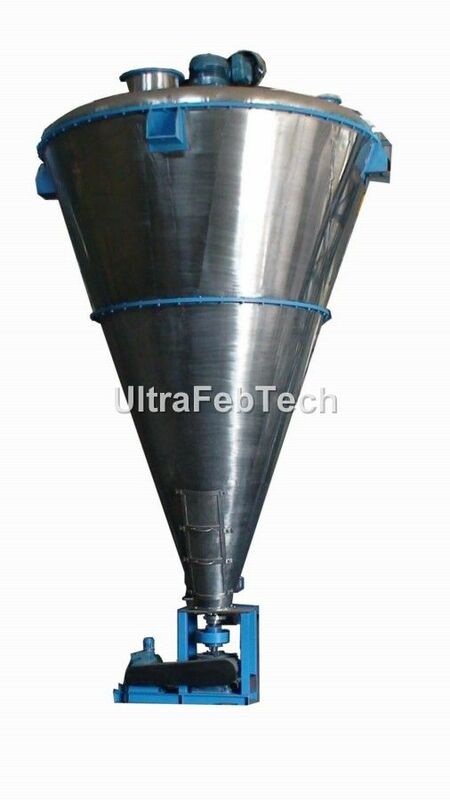 Nauta Mixer, cone blender, conical blender, Nauta blender, double cone mixer offered by us to fulfill the client's requirements for various applications.